Happy Monday guys! 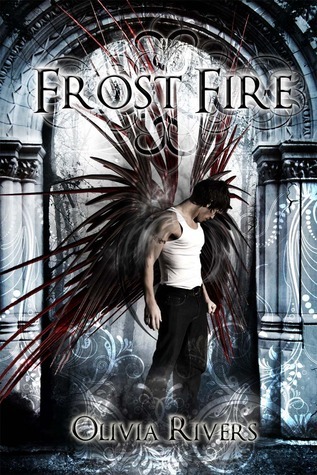 Today I'm part of the Frost Fire book blitz organized by Giselle from Xpresso Book Tours. Below you can find a book description as well as an excerpt, and there's a giveaway for an eBook copy, winner's format of choice, at the end of the post! Seeing him was like reliving a perfect daydream and her worst nightmare at the same time. She didn’t know how to react. She didn’t know how to even think. She was afraid of learning the truth. Of finding out whether all those memories of him—of his comforting golden eyes and soft words—were real or not. The thought threw off her footsteps, and she nearly missed the next step of the staircase. She slammed her foot down to regain balance. Her bad foot, of course. Because wasn’t that just her luck? Pain ricocheted through her ankle, almost tearing a scream from her. But she held it back, biting her lip and only letting out a tiny whimper. Luke was going to have to look at her ankle and make sure it was only sprained, and not broken. As if on cue, he appeared at the top of the stairs, his arms crossed and his expression turned down in a scowl. Allai read his expression and swallowed hard to keep her pounding heart in place. How could he have found out about Drake so quickly? Allai gripped the banister, her nails digging into the smooth varnish. She had to tell him. She had to just blurt everything out and pretend she’d had no intention of keeping Drake’s predicament a secret. She hobbled up a few more steps and didn’t reply. She just focused on the plush carpet covering the steps, trying to dig her good foot into it to keep from slipping. 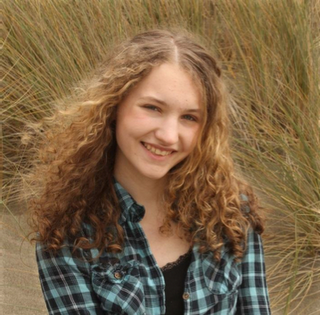 All she had to do was open her mouth and say some simple words: Drake Rhaize is out by the border. Go catch him. It should have been easy. I love the sound of this one! A girl turning out to be the thing she was taught to hate and hunt. A forbidden demon boy. I'm really curious about their past and about what's going to happen to Allai! What do you guys think of the cover and description? Tell me in the comments, and don't forget to enter the giveaway! Open internationally. Just fill out the Rafflecopter. One entry per person / household. I will forward the winner to the tour organizer, who will then get in contact with him/her and send the book in the winner's preferred eBook format. Once I've passed on the winner's information, I am no longer responsible for what happens. Winner must respond to my email within 48 hours, or I'll pick someone new. Duplicate entries / other forms of cheating result in disqualification. All entries will be deleted. I will check every single entry before picking a winner. That way, cheaters are spotted in advance and they don't falsify the odds of winning for other people. I agree with Cassy. I love this cover. Sounds like a good read too. Thank you. Gorgeous cover. Book sounds interesting too.